‘In my opinion you ought to learn very much, in order to forget most of it later on. That means that I wish you to discover your own selves, and to that end many ways and many detours are necessary’. A Phillips painting gets to the very heart of the Australian landscape. Alan’s painting is infused with symbols and images rising from an inner joy and love for the land. The shapes can be hard edged, or in a state of perpetual metamorphosis. At times they wander along the surface with ease, some joyously bumping into each other, and others, laden with paint lumber along, fertile with new growth. The paintings are underpinned by a keen observation of colour and line. Alan takes the viewer on a vivid journey, challenging perceptions of the landscape and its constancy. 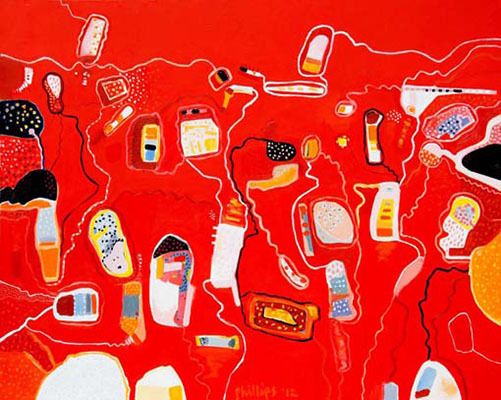 He began painting in the mid 1970s, first exhibiting his work in 1977 in Alice Springs in the Northern Territory. Since then he has held twelve one-man exhibitions and has participated in twenty-four group shows around Australia including Darwin NT, Armidale and Albury in NSW, Melbourne, Wangaratta and Milawa in Victoria. His preferred medium is oil on canvass however many of his on-site sketches are done using gouache, ink and wash and compressed charcoal. While his first love is for the desert landscape - and he has spent many years travelling and discovering these remote and lovely spaces - Alan’s move to north-east Victoria sparked a change in his subject matter. In 2009 bushfires threatened his bush block giving inspiration to a new series of drawings and paintings. 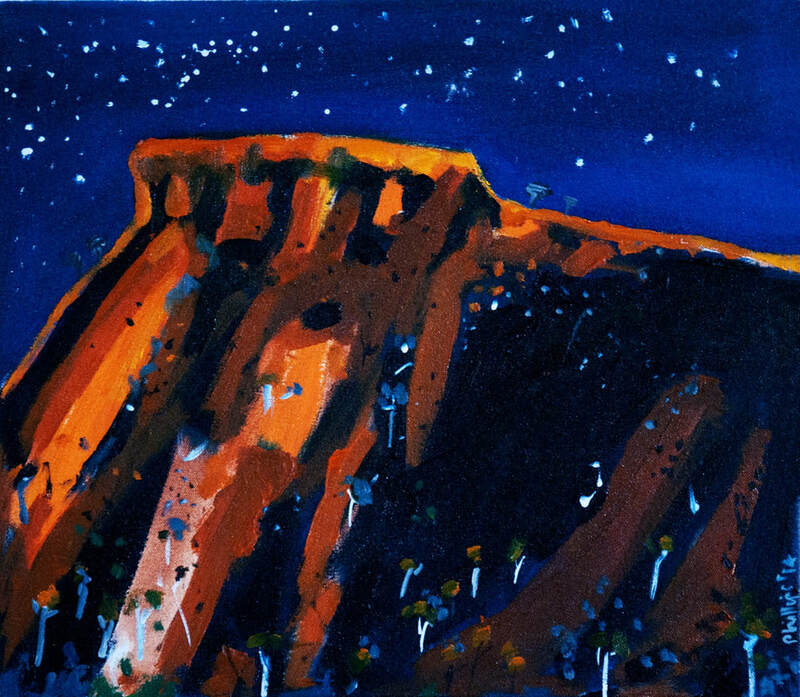 He has since revisited the NT to paint and draw.